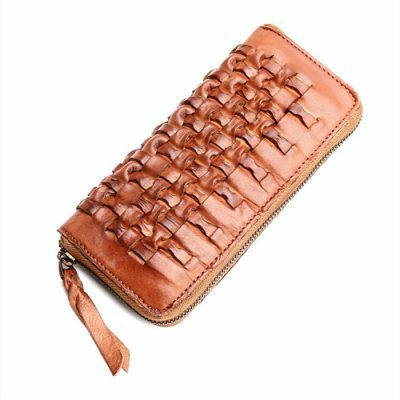 Genuine leather purse, handmade leather purse, vintage leather purse and handmade leather clutch for sale, all these handmade leather purses and leather clutches are handcrafted by expert artisans. 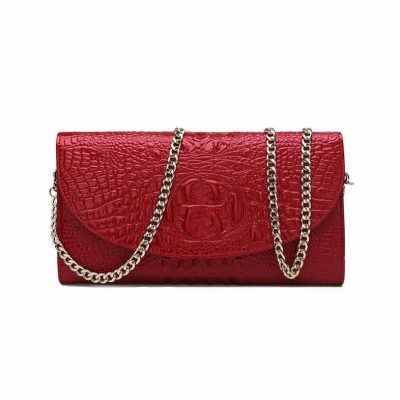 We only offer high-quality and high-end handmade leather purses, leather clutches to our consumers. Our handmade leather purse and handmade leather clutches add an effortless touch of understated luxury and elegance. Versatile enough to carry with you day or night, these fine pieces fit all the essentials in one place. 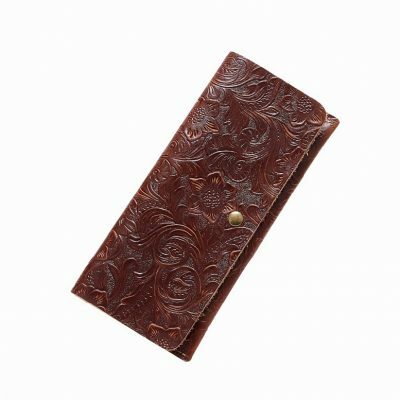 Experience the style and convenience of VANGOSEDUN leather purses. Each leather purse from VANGOSEDUN is designed in Italy, crafted from the highest quality leather, and finished with an exclusive wash to create a purse you’ll treasure for years to come. Leather designer purses are a pleasure to carry to school, work, or on a weekend shopping expedition. For premium leather purses in an assortment of appealing colors, shop the collection at VANGOSEDUN today. A leather clutch is far more than a simple accessory. 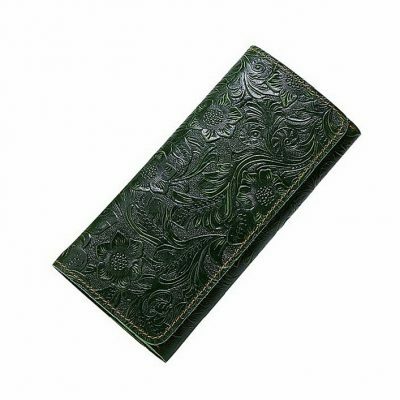 It is a practical carrying case, a way to express your sense of style. Most clutches have a rectangular shape, similar to an envelope, although they can also be round, square, oblong or even heart-shaped. 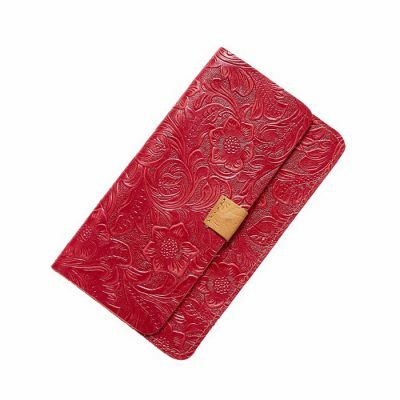 Closure designs on clutches include the fold-over flap, top zipper, all-over zipper, snap and metal clasp. Fabrics tend to be dressier, like leather, suede, silk, and satin and are often embellished with sequins, beads or rhinestones. Colors range from neutrals like basic black, brown, beige, navy, cream and white, to shiny metallics in tones of gold, silver, and bronze, to bold shades of yellow, red, green and pink. 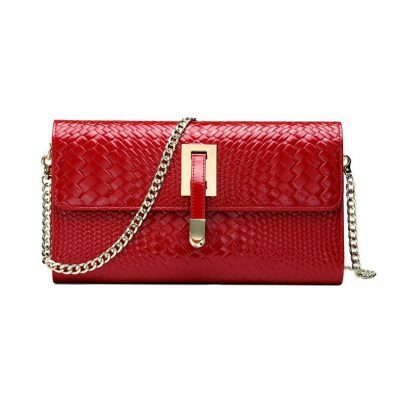 Many clutches provide the option of a decorative chain-link shoulder strap that can be detached or tucked away inside the bag, while others have tiny hand grip or wristlet strap. Our handmade purses are exquisitely crafted from natural, well-selected leather. 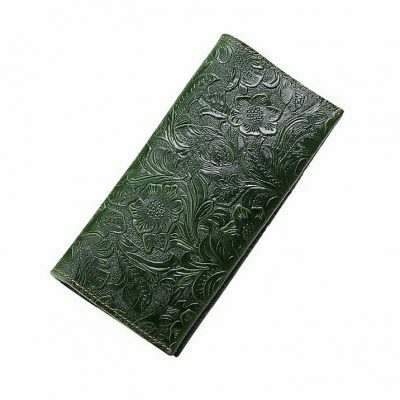 We love to work with leather that has unusual texture or interesting colors. We are happy to use leather, which is easy to maintain, resistant to fine scratches and dirt. Raw leather with its distinctive smell, simplicity of creation in conjunction with traditional leather craft and unique design, it is something that we love. Though a leather purse isn’t worn on your body, it can still impact how your figure is perceived, adding or reducing pounds and drawing attention to or away from your assets. Don’t be a fashion victim when it comes to picking out a new leather purse. If you have a “Sporty-Natural Fashion Personality,” you probably have only one, or at the most two purses you use. One leather purse for everyday use and one leather purse may be for “dress up,” events. You might not even own a purse, but use your pockets or car to store stuff you take with you. If you have a “Timeless Classic Fashion Personality,” your leather purse will probably look classic, vintage and be small to medium size and you might carry a tote so that you do not have to use an oversize purse. Classic and vintage leather purses are a favorite among fashionistas because they are both stylish and utilitarian. We have several different styles of vintage leather purses, with many different sizes, adornments, and colors. Collectors enjoy the unique look of these leather purses, and many of them are very valuable in good condition. If you have a “Romantic Fashion Personality,” your leather purse is more likely to be small to medium. Color may choose pink, rose red, yellow, etc. If you have a “Dramatic Fashion Personality,” you may own one super large leather purse that makes a statement or a drawer full of purses that make different dramatic statements. Are you searching for a stylish, classic as well as a durable purse? Then leather purses are the best choice. While they could be costly, superior leather purses could keep their looks and shape for many years once you care for them well. Right care prevents this leather from cracking and drying out, and it secures it from too much moisture that could cause the skin to mildew or swell. This guide will give you tips to make sure your leather purses will last for many years and you will have a reliable, soft leather purse for many years to come.
. Utilize the appropriate cleaning solutions. 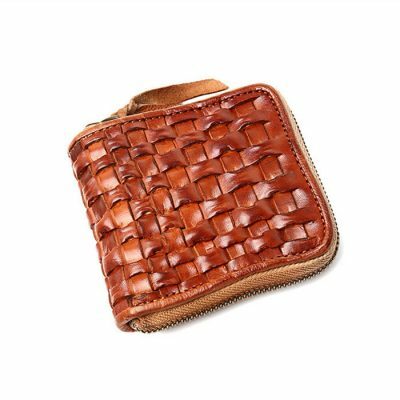 One of the most efficient options you have for keeping the quality of the leather purse is to utilize one of the many leather cleaning products which are on hand in the market. A lot of the stores which offer high-quality purse are likely to provide a range of cleaners for leather. But, it’s always smart to read the guides on the bottle to ensure the specific cleaner is capable of working efficiently on the leather purse which you own.
. When you are utilizing the leather cleaner for the very first time on your leather purse, you may need to a test first the product to make sure that no obvious sign of harm of damage is likely to be caused. When the test proves to be suitable and acceptable you can clean the leather purse in full. Normally, you need to clean the leather purse once every 4 to 6 weeks to ensure that it’s kept in good condition all the times.
. To keep your leather purse supple, it will be very beneficial when you are capable of using one of the best leather conditioners. Similar to utilizing the cleaning solutions, you need to rub the leather conditioner into your purse every 4 to 6 weeks to assist with keeping the leather attractive and soft. Through taking the needed action to apply the leather conditioner, there’s a greater possibility that your leather purse is not likely to break or crack in the long-term. Apart from cleaning the leather purse in the most effective way possible, you also need to make sure that it’s stored appropriately that is likely to mean that it must be kept in a dark area and at room temperature too. Through keeping the leather purse in the darkened area you are sure that the color is not likely to crack or fade. You need to keep away from water splashes since this has the chance to cause water stains on the surface of your leather purse. popular search: leather purses, handmade leather purse, leather purse, leather clutches, leather clutch, handmade leather clutches, clutch purse, vintage purses, leather clutch bags, black leather purse, brown leather purse, black clutch bag, leather purses online, leather clutches online.